If the style of this seems familiar, it's intentional. 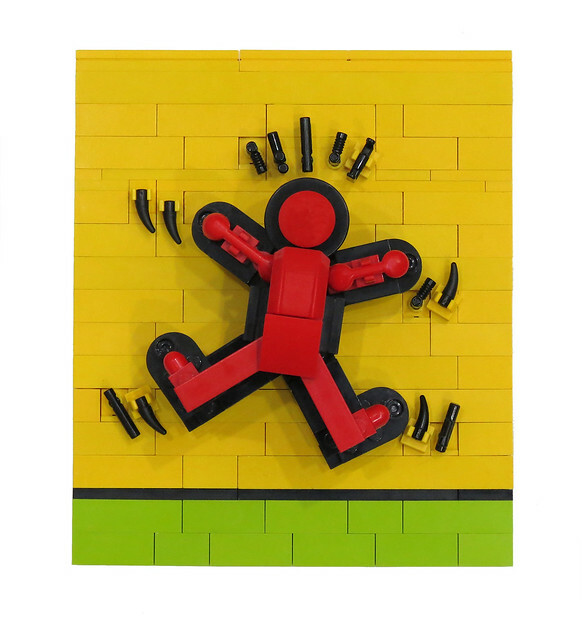 Builder Grantmasters decided to take a crack at mimicking the style of American street artist Keith Haring, and the results are pretty spectacularly successful. While Keith's work may have been considered subversive, you can't deny the style and impact, and this MOC is just as eye grabbing. Oh You Wanted Candy For Halloween?